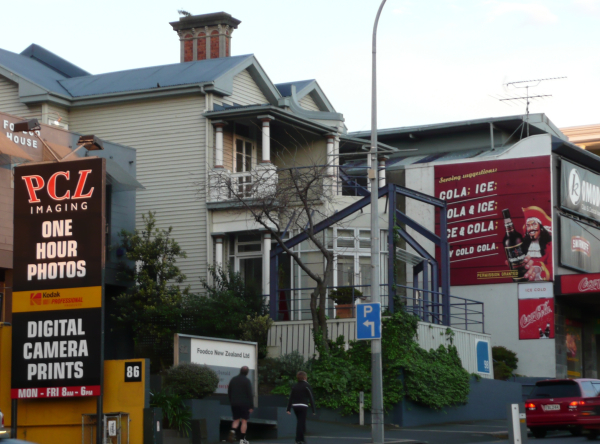 A little segue to Auckland here, to feature a building sent in by one of our Auckland readers, Chris. If anyone can shed any light on who designed this building, we’d be interested to know. It appears to have been altered more than once, with the retro-fitting of signage supports coming perhaps after the initial deconstructivist steelwork explosion that appears to have happened inside, that pierced the outside and gave the building a very unique effect. Although Chris states that he is “pissed off that the right wing council doesn�t give a figs toss about our built heritage” I’m not really sure on this one. 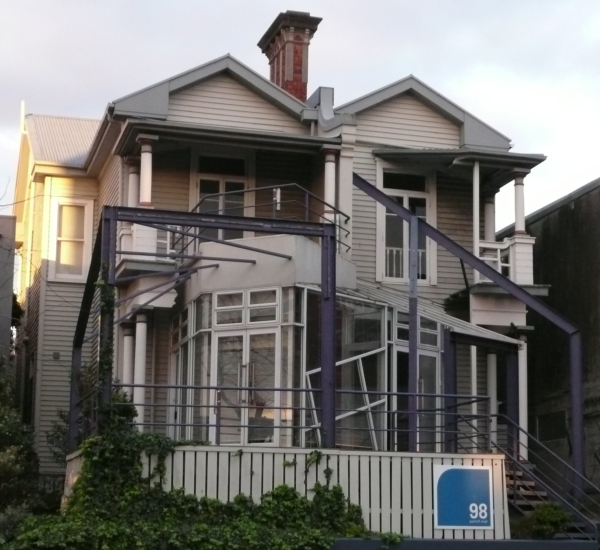 Yes, you get what you deserve if you live in a city stupid enough to vote a talk back radio host as revolting as John Banks in twice, but on the other hand – is it really that good a piece of architecture? I’m inclined to think that it has been designed as a structure to shock and surprise, much the same as this picture of two recent creations by much lauded fashion icons John Galliano (left) and Kate Sylvester (right), where all I can say is that in this case, rather than shock and surprise, instead they have lost the plot and produced works of extreme crapness. So what are your thoughts on the building featured above? Should we be mourning for its passing, or had it already had its five minutes in the sun? 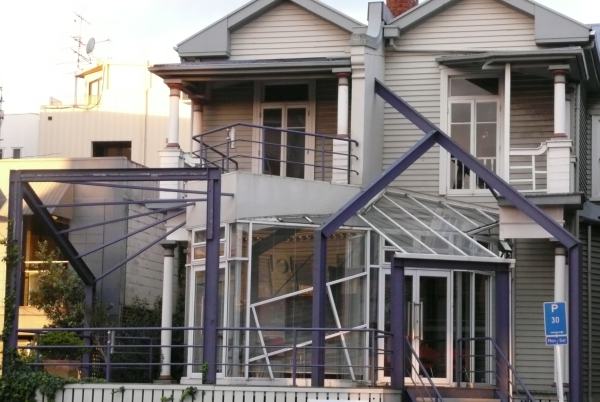 I confess I was an Aucklander in the 1980s and it seems to me that the building in question was altered by Auckland furniture/product designer Michael Glock in the midst of the stock boom and much trumpeted as the arrival of post-modern deconstructivism or somesuch. It was coincidentally sited right next door to the fabled Ray Smith’s Goldcorp bullion scam. Glock also operated an interior design shop in Ponsonby around the same time and was one of Felicity Ferret’s favourites. I also recall a rather messy end-of-the-80s financial imbroglio. There is certainly a strong similarity between the building and the Galliano. 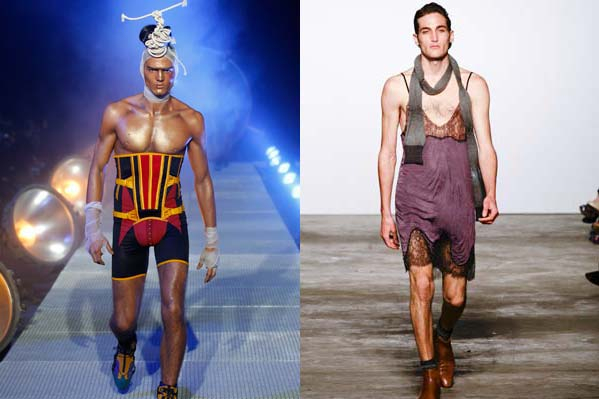 The model, suitably buff and well proportioned, has been set upon by inappropriate accoutrements such as the mad raffia-style headpiece and the strapped on corset / codpiece. Without a doubt, like the building, he would look better without all that crap. IS YOUR PERSONAL OR BUSINESS REPUTATION BEING DAMAGED ONLINE? THINKALCHEMY CAN HELP YOU TODAY. Dr Michael Glock�s 2004 Fantastica Book Now Available in India Imported Edition. Order now and get it in 14-21 business days.